Q-net Pro offers a unique solution to inform customers and managers about the current situation in the branch. When the customer arrives to the branch he can decide to ask the ticket after seeing on the ticket dispenser how many customers are waiting in the queue. After this and until the call of that ticket number the customer does not have any information about his position in the queue. 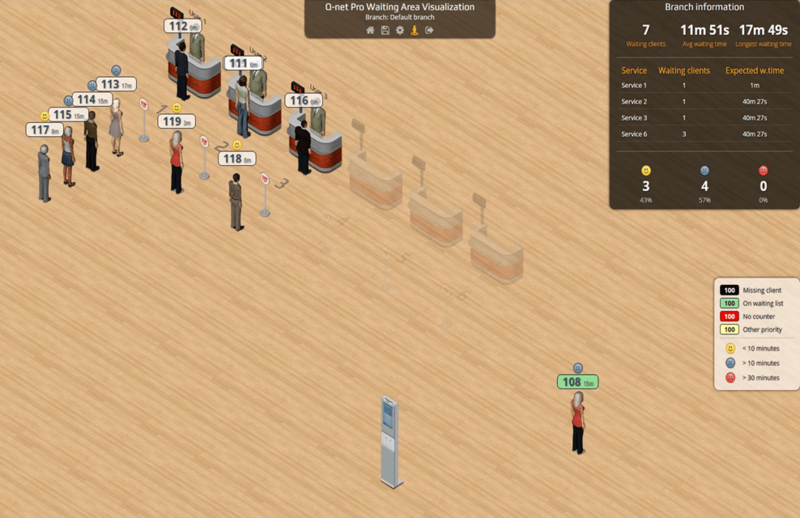 If the end user shows this website on a big TV every visitor can see his ticket number and position on the screen and can see how much time is calculated for his turn. The branch manager has an option to see the current situation in his branch by watching the dashboard in the SH41 monitoring and statistics module, OR using this module the same information can be seen on this page much more visualized, much more easier to understand what should be done, what steps should be taken to improve the current customer experience. The same content can be integrated into the smart phone application of a bank for example together with the appointment module. 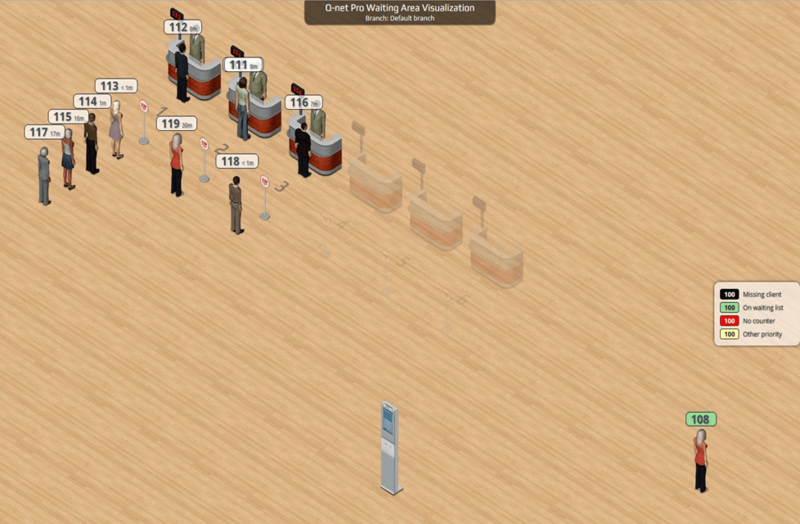 When the customer arrives into the branch and gets his ticket he should enter the ticket number into the app and he will see his position in the queue on his mobile phone with his figure highlighted.